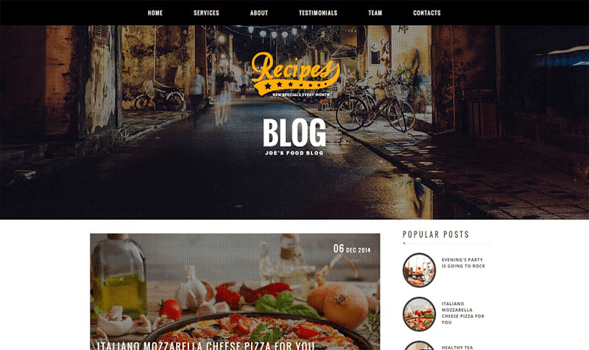 Recipes is a blogger template specially designed for food and health bloggers. It’s loaded with lots of amazing features which extracts out the best form your blog’s content and display it in a very beautiful way. This theme is included with a well documentation file which will guide you in easy installation of this template.